Troop 43 is the first of a new era for the Boys Scouts of America. 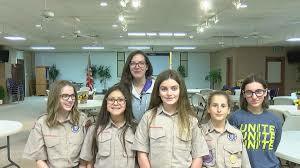 This new Boy Scout troop is all girls. Monday night at their second meeting, they prepared for their first flag ceremony that is scheduled for this weekend.